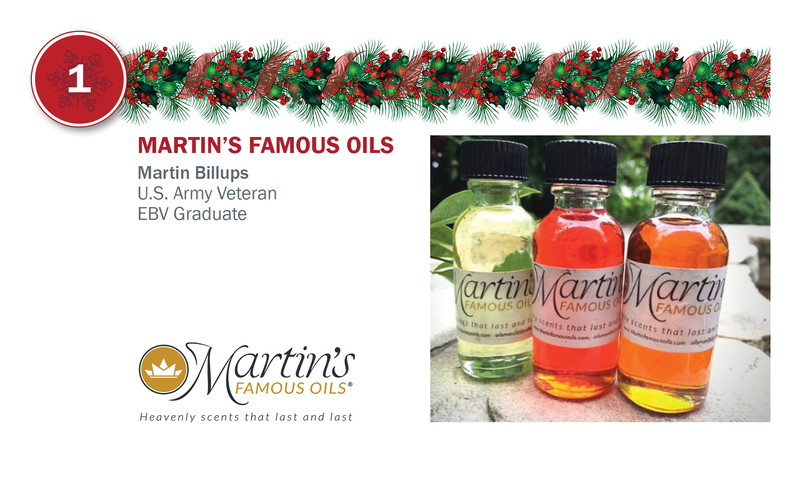 After serving in the military for 23 years, Martin created Martin’s Famous Oils where he sells aromatherapy fragrances and essential oils. With over 30 different products from “White Musk” to “Lavender,” there are plenty of options to choose from! Pets deserve gifts too! Air Force Veteran Kristina Guerrero was on a ski trip almost six years ago when she realized her dog was just as hungry as she was. 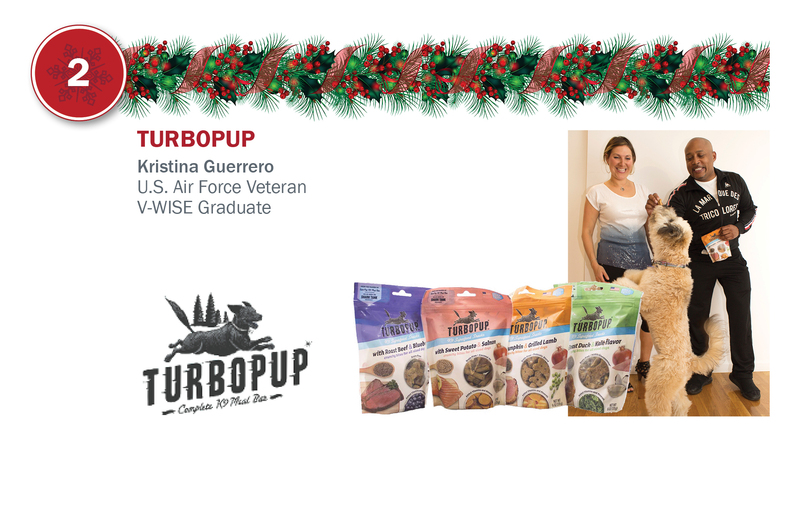 This led her to create TurboPUP – Complete K9 Meal Bars, a light weight, compact meal on the go. These bars and her new “Superfood Snacks” are convenient and healthy – making both you and your dog happy! In 2015, Kristina was featured on Shark Tank and made a deal with shark Daymond John (pictured above with Kristina and one of her pups). 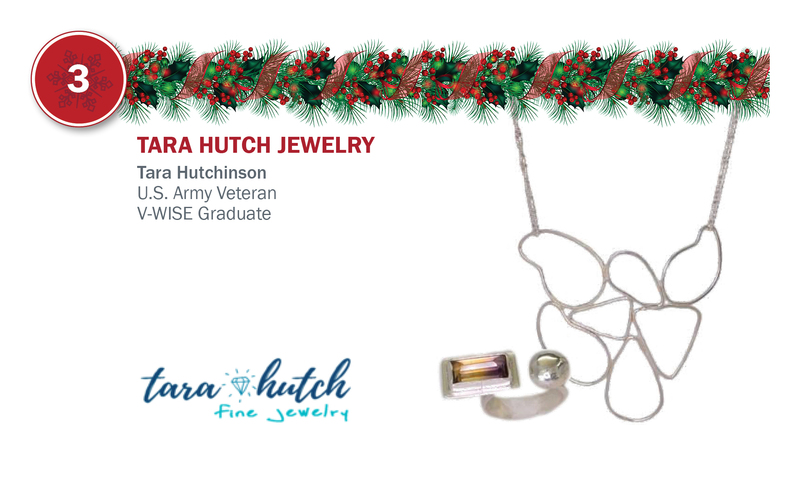 Tara Hutch was severely injured in 2006 while serving in Operation Iraqi Freedom. She turned to a passion of jewelry making that is inspired by the “vibrancy of human nature.” Her unique necklace and ring designs are perfect for anyone on your list – you might just want to buy yourself something too! If you or a friend are feeling overwhelmed by holiday clutter, Major Organizers can help organize your belongings and get you back on track. 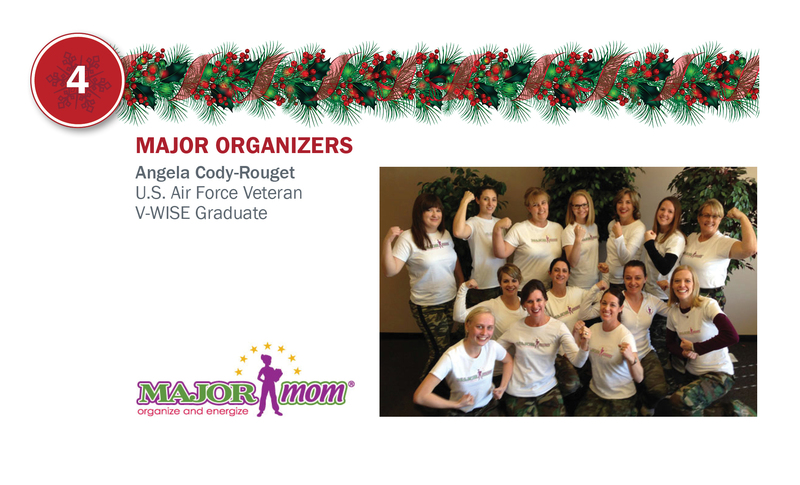 Major Organizers was started by Angela Cody-Rouget after serving in the Air Force for 13 years. Her network of experts will help you declutter your home. They will also help you set up a system to help you stay organized and clean even after they leave! 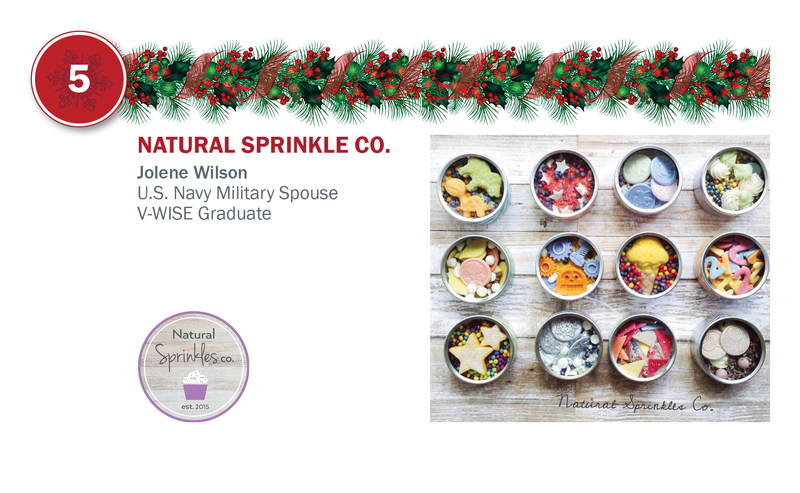 Make your holiday season colorful with Jolene Wilson’s Natural Sprinkles Company. She makes unique and custom sprinkles perfect to brighten up any holiday dish or dessert. Have a baker in your family? Order them their own custom set of sprinkles! Want your pets to be looking their finest this holiday season? 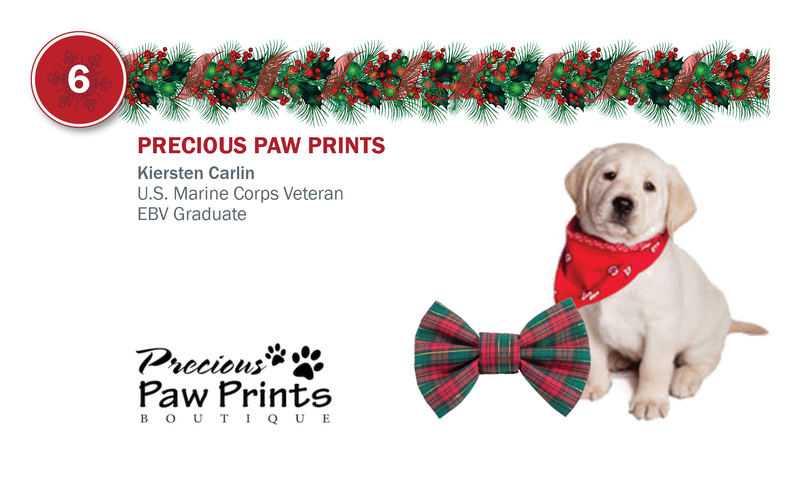 Check out Precious Paw Prints, created by U.S. Marine Corps veteran Kiersten Carlin. They sell over 500 different products, from bandanas to collars, to help you and your pet cheer on your favorite team or just celebrate the holidays! Still searching for that perfect gift? 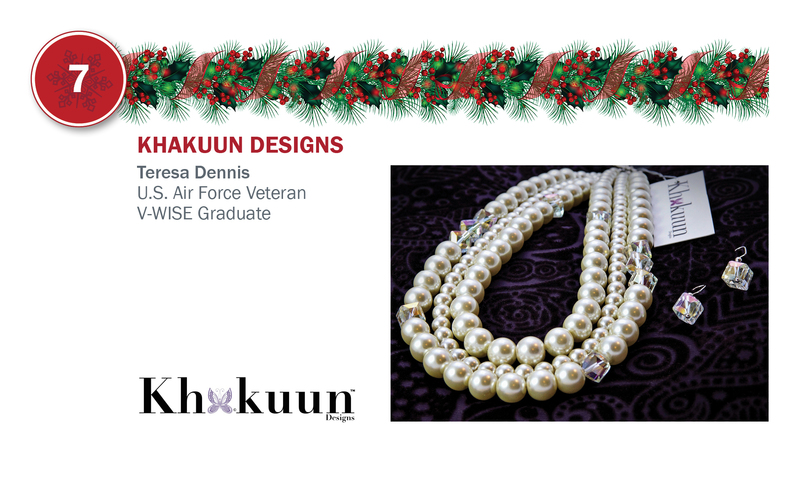 After serving in the Air Force for more than 20 years, Teresa Dennis pursued her dreams of entrepreneurship and created Khakuun Designs. You can find earrings, necklaces, rings, and accessories (including gifts for men!) at Teresa’s online shop. It might still be a bit cold outside, but it is never too early to start preparing for summer cookouts! While Gerald Young was serving in Afghanistan, one of the things he missed the most was his dad’s homemade barbeque sauce. 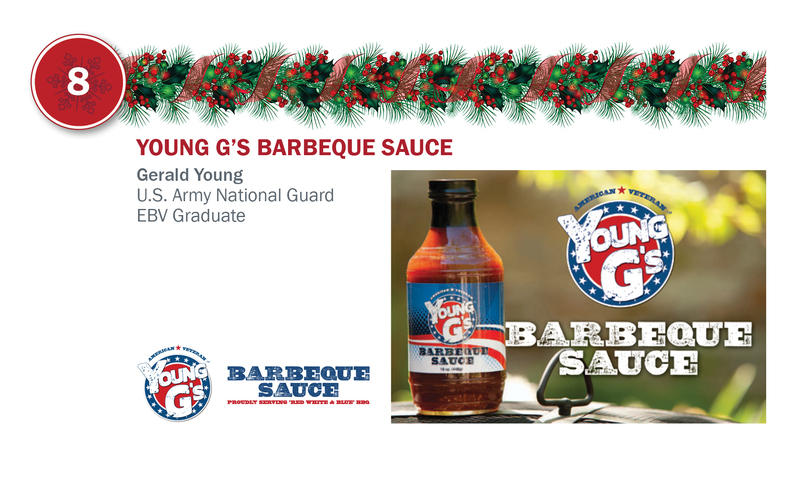 When Young returned, he took his dad’s secret recipe and created Young’s G’s BBQ Sauce. young-g-bbq.squarespace.com. To purchase, click here. 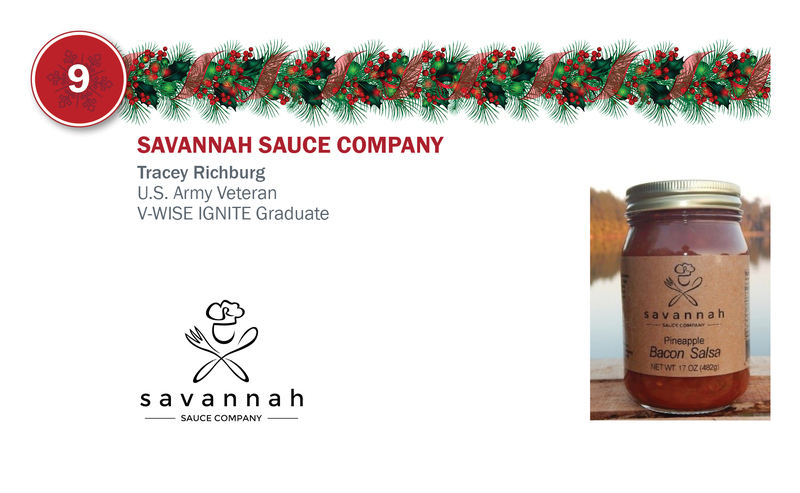 Savannah Sauce Company’s product line includes hot sauces, ketchups, BBQ sauce, marinades, and other assorted sauces. 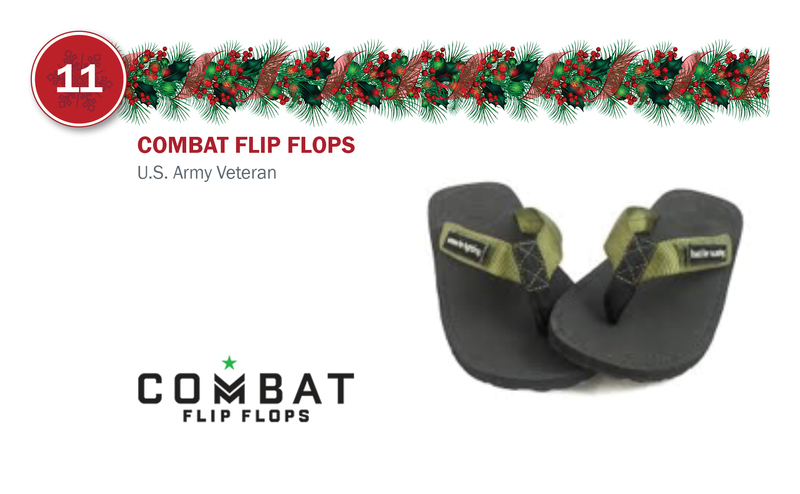 Started by U.S. Army Veteran Tracey Richburg, the company allocates a percentage of profits from sales to help homeless veterans and veterans with Post-Traumatic Stress Disorder and Traumatic Brain Injury. The company has developed a program, “Tiny Homes for Big Heroes,” to help the local homeless authority with building and furnishing tiny homes for the homeless in sustainable communities. If you’re planning a trip to NYC you may want to pick up Pocket Parks of NYC. 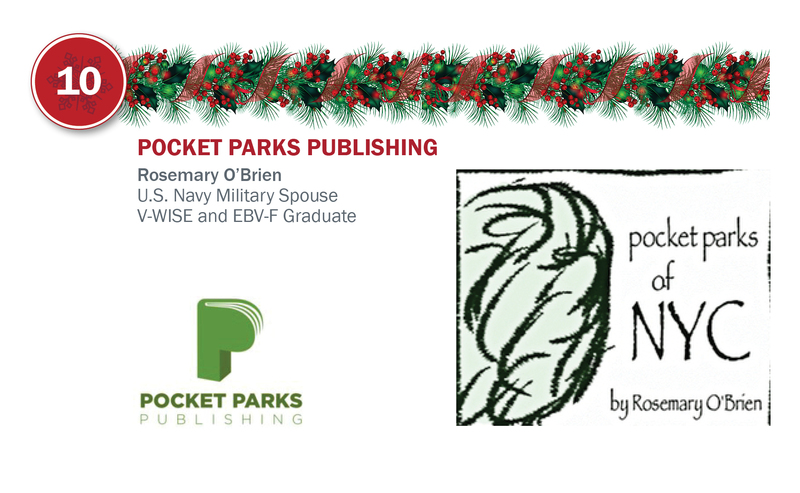 Military spouse, Rosemary O’Brien, started her pocket park project with a focus on New York City – because that is where she discovered magical hideaways that locals would use to get a rest from all that walking – or just enjoy a little greenery. Another term for these little gems is “Vest Pocket Parks,” and they are the small spaces between tall buildings that most people never take the time to notice. The unique stories behind each of the parks are just as intriguing as the people they invite in to get some rest. 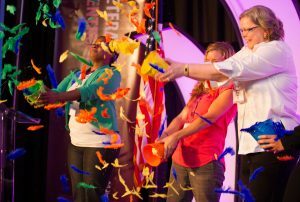 Founded by Army Rangers to provide jobs to the hard working artisans of third world countries, every hand-made sarong sold puts an Afghan girl in secondary school for a week. Their Peacemaker Bangle and Coinwrap are made from bomb pieces and each one sold clears three square meters of Unexploded Ordnance (UXO) from a region rocked by long-term war – saving lives and providing economic opportunity. U.S. Marine Corps veteran Seth Jordan started Dog Tag Brewing Foundation to help build legacies of our nation’s Fallen Warriors by partnering with Gold Star Families. 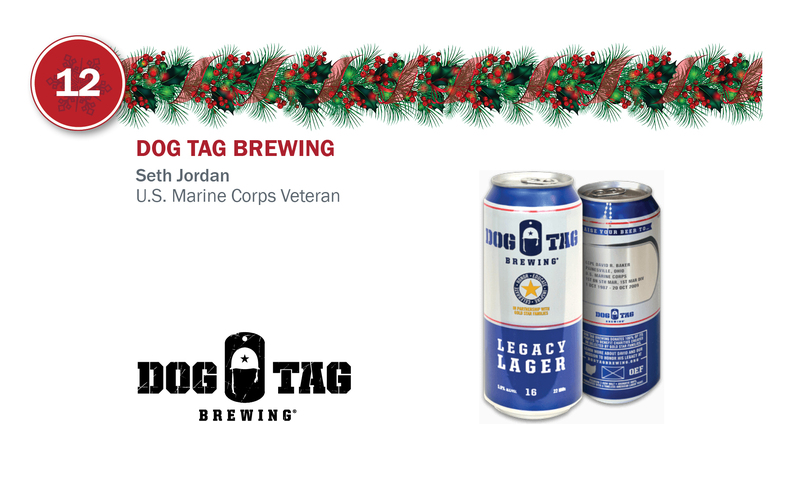 You can support their mission through the purchase of Dog Tag Beer. 100% of Dog Tag Brewing, LLC profits will benefit charities created by Gold Star Families.